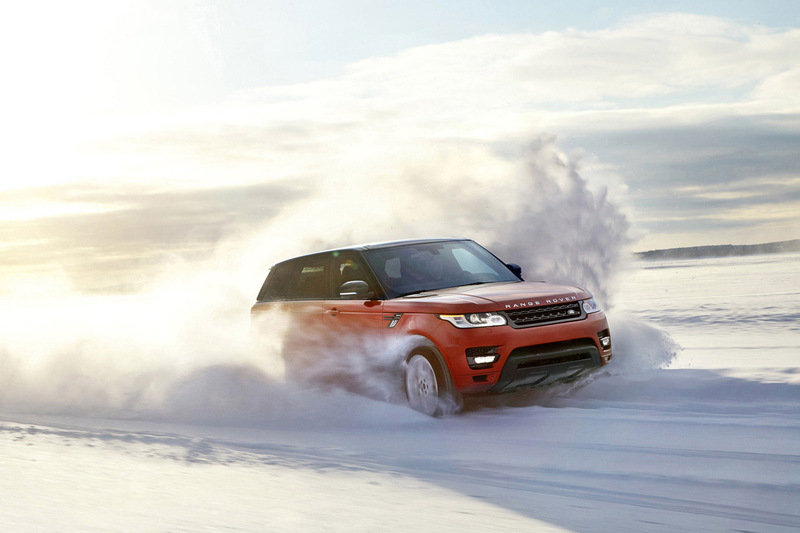 The all-new 2014 Range Rover Sport made its world debut today in New York City. 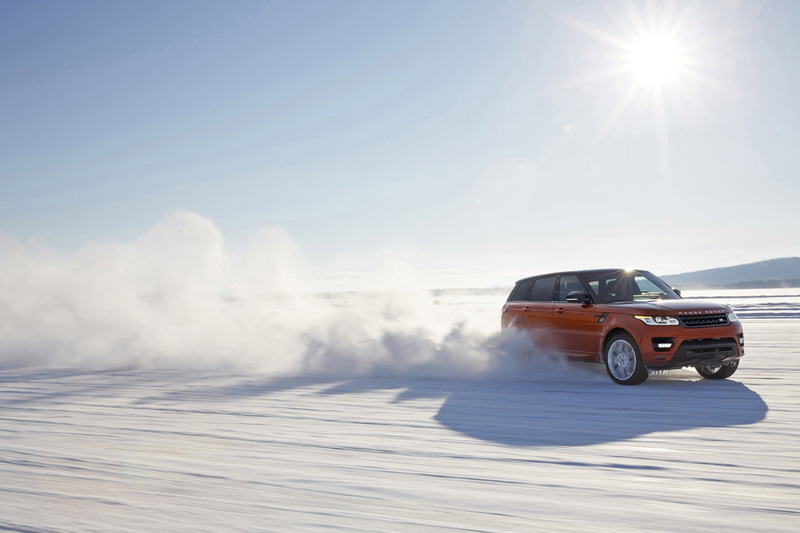 It will be the fastest, most agile and responsive Land Rover ever. 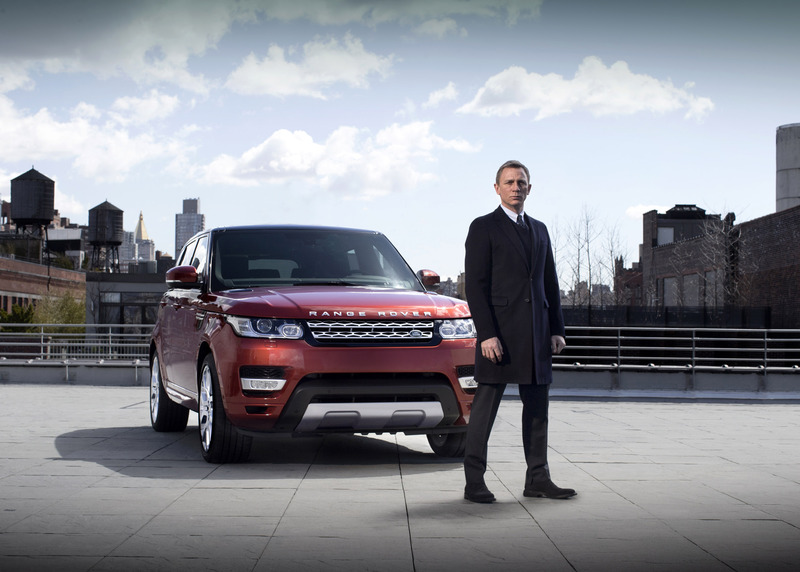 The Manhattan skyline provided the perfect backdrop for this world premiere, as the United States is the world's largest market for Range Rover Sport and the New York metropolitan area is the top market in the world. Developed alongside the 2013 Range Rover, the new Range Rover Sport delivers exceptional on-road dynamics with genuine Land Rover all-terrain capability. The technologically advanced Range Rover Sport presents an assertive and muscular exterior, luxurious interior, and the practical flexibility provided by the option of 5+2 third row seating for occasional use. 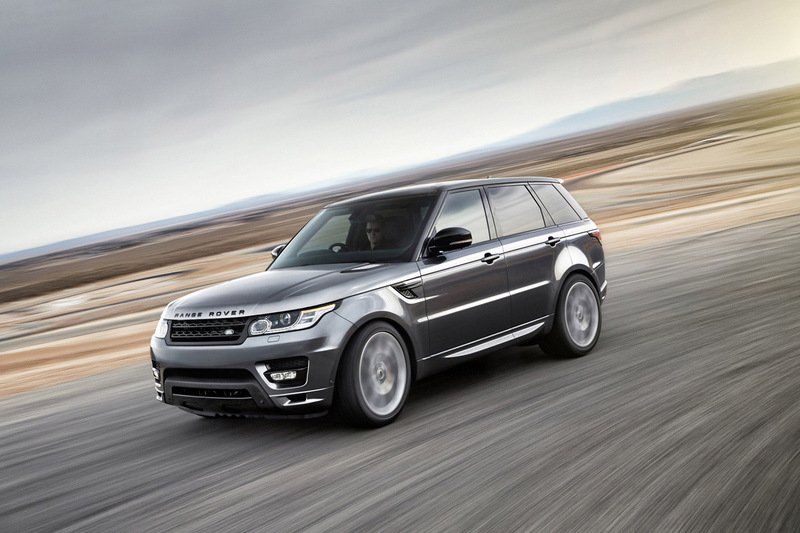 Featuring Land Rover's breakthrough suspension design and innovative dynamic chassis technologies, the Range Rover Sport features an all-new aluminum unibody architecture to achieve a weight savings of approximately 800lbs. (Note to editor: The previous generation vehicle featured an "Integrated body-frame," which was composed of a steel unibody mounted on a full frame chassis). This weight reduction transforms the vehicle's dynamic performance, enabling it to blend agile handling with exceptional comfort and to offer a unique mix of sporting luxury and a dynamic, engaging driving experience. Speaking ahead of the official world premiere at the New York International Auto Show, Land Rover Global Brand Director John Edwards said: "The all-new Range Rover Sport is a vehicle that has been designed and engineered without compromise. With Land Rover capability at its heart, it is one of the most road focused vehicles we've ever produced, but of course still offers unsurpassed all-terrain capability. It is a vehicle which is designed to be driven. We've taken ride, handling and agility to another level for Land Rover to deliver a truly rewarding, sporting, drive together with unmatched luxury, capability and versatility. The all-new Range Rover Sport has been designed to capture the distinctive DNA of its predecessor, but with a bold evolution that places it at the heart of the three-model Range Rover portfolio, between the flagship Range Rover and the Range Rover Evoque vehicles. With its 'faster' windshield angle, streamlined profile and sloping roofline, the new Range Rover Sport is 8-percent more aerodynamic than the previous model and achieves a drag figure of Cd 0.34. 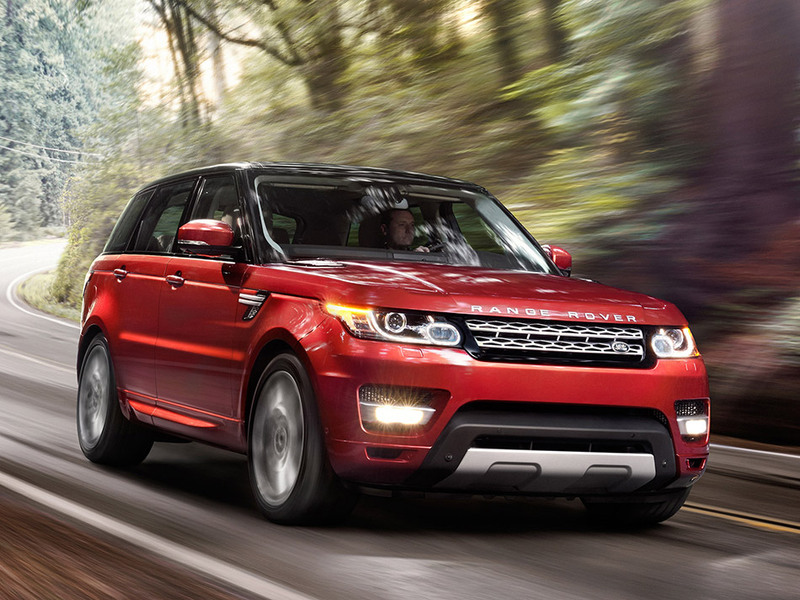 The 2014 Range Rover Sport is just 2.5-inches longer than its predecessor. At 191-inches, it is shorter than many mid-sized sedans, bringing greater maneuverability and ease of parking. A wheelbase that's longer by 7-inches yields greater room and improved access for rear passengers. 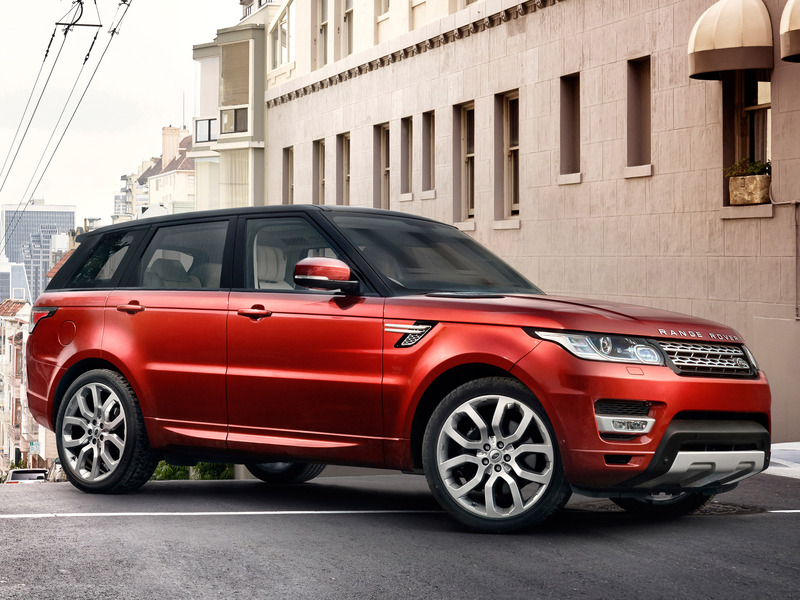 The new 2014 Range Rover Sport is 5.9-inches shorter and 2.17-inches lower than the new 2013 Range Rover on which it is based. It weighs about 100lbs. less than the Range Rover when similarly equipped. New interpretations of classic Range Rover Sport design cues include the signature clamshell hood, floating roof, and side fender vents. The vehicle also features bold new versions of the powerful wheel arch design, horizontal body feature lines and distinctive rocker moldings; all are key elements of the model's strong design heritage. While retaining the powerful Range Rover Sport character, the front end has a modern, streamlined appearance, with its slimmer lights, rearward sloping grille and sculpted corners. 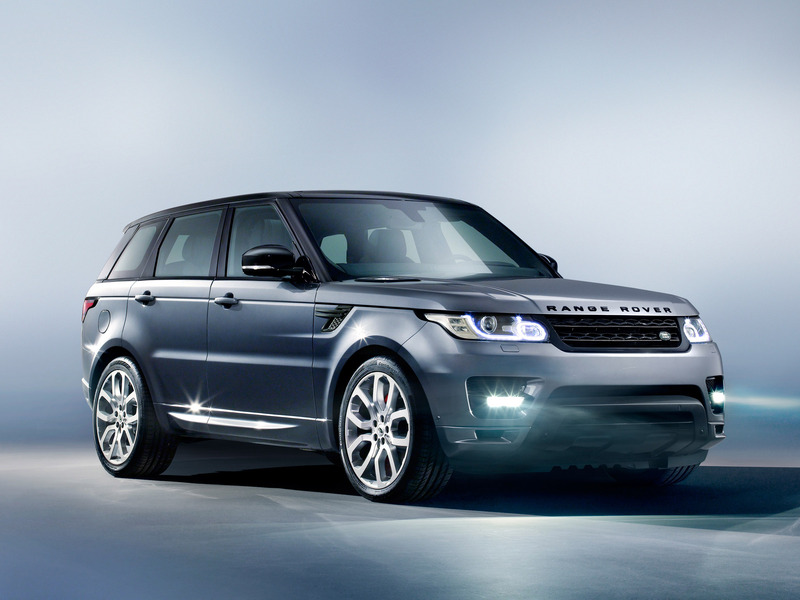 Design details emphasize the new, more dynamic and contemporary character of the Range Rover Sport. The side fender vents have a more dynamic, sloping treatment and are matched by twin vents in the hood. 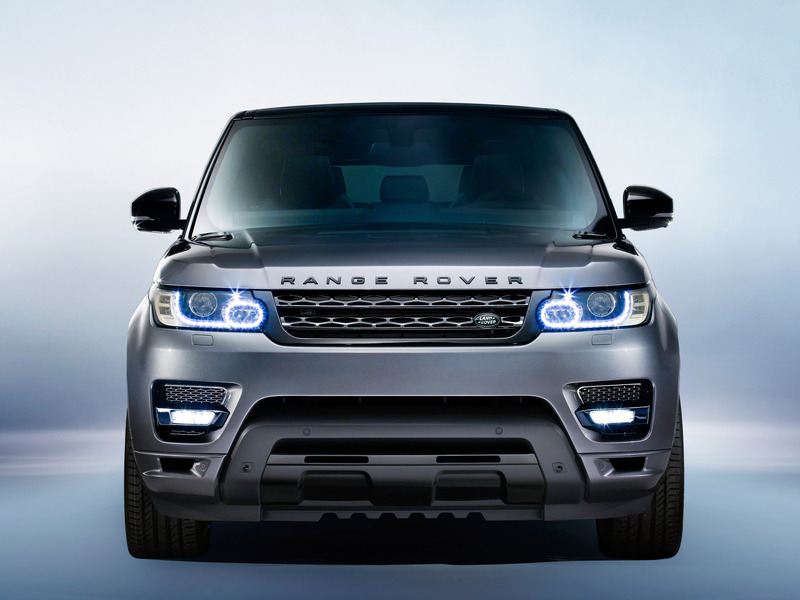 The established Range Rover Sport two-bar theme is reflected in the twin strakes on the fender vents, the two-bar front grille and the twin lines in the tail lamp designs. Near-flush side glass and a premium gloss black finish on the pillars accentuate the Range Rover floating roof design – which can be highlighted with contrast roof colors – while also emphasizing the streamlined body. Brembo brake calipers finished in red, and a Black Package, which removes all brightwork from the exterior, are also available. At the front, the large outboard air intakes and bold trapezoidal shapes housing the central bumper beam and skid plate convey high-performance and high-capability. At the rear, a skid plate flanked by large twin exhaust outlets repeats the trapezoidal theme. The headlight clusters use distinctive new LED signature designs, with the slimmer lights creating an aggressive, technical appearance. A new compact design for the real lamp clusters uses LED technology. The main tail and stop lamps echo the headlamps' distinctive design language. Both front and rear lamps flow round into the shoulders of the body with the distinctive tapering blade design featured on the other Range Rover vehicles. 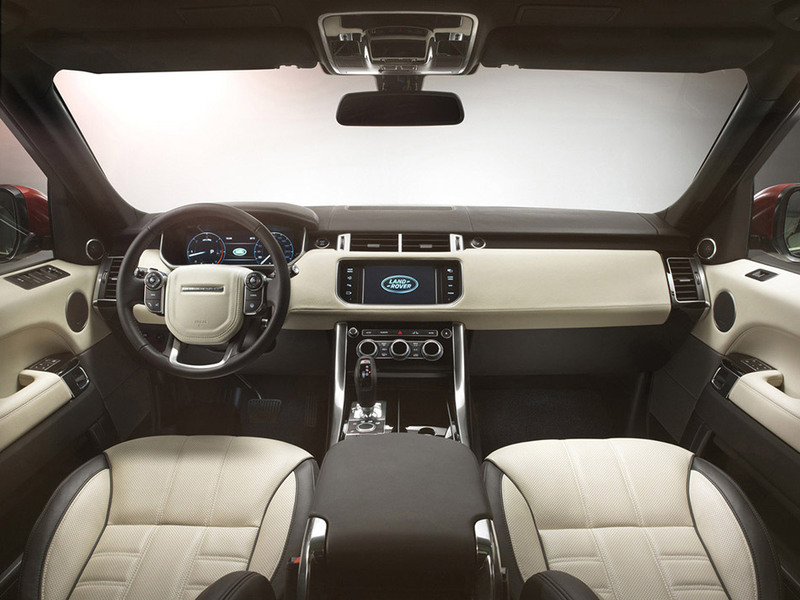 The interior has a sophisticated and modern appearance, incorporating distinctive Range Rover Sport design cues and providing the driver with a luxurious and sporting cockpit. For the new model, the strong, architectural forms of the design have been enhanced by a cleaner, purer surface treatment, beautifully executed using premium materials. The centerpiece of the cabin is the bold intersection between the instrument panel's strong horizontal elements and the center stack's vertical lines. The cockpit's dynamic character is enhanced by the faster angle of the center stack. Its satin chrome pillars flow from the instrument panel through into the rear cabin, and the aluminum accents flow from the center console into the dashboard fascia. The center console is mounted higher than before, positioning the controls closer to the driver and creating a cosseting feel for the front occupants. The smaller-diameter, thicker-rimmed steering wheel, vertical gear shifter and seats with generous side bolsters support the sporting ambience. The front and rear seats feature a sculpted design with enhanced padding to the front, and individualized seating in the second row. Increased rear seat comfort is provided by improved rear legroom (nearly an additional inch of knee room) and shoulder-room, plus split rear seats and the option of powered third-row seats. The third row is designed for occasional use, and power-folds flat into the floor to preserve cargo versatility. The new Range Rover Sport is crafted using the highest quality materials, with carefully selected colors and textures to enhance the model's unique blend of luxury with a distinctive sporting character. The use of modern finishes and veneers gives the cabin a dynamic and contemporary feel. More luxurious soft-touch surfaces are used for key touch points around the cabin, such as the dashboard fascia mid-section. Authentic metal details include the satin chrome pillars each side of the center stack and the choice of distinctive aluminum finishes on the center console, fascia caps and door trim. The focus on quality and traditional craftsmanship can be seen in the beautifully tailored twin-needle stitching used to finish the sumptuous leather seats and leather-wrapped interior surfaces. 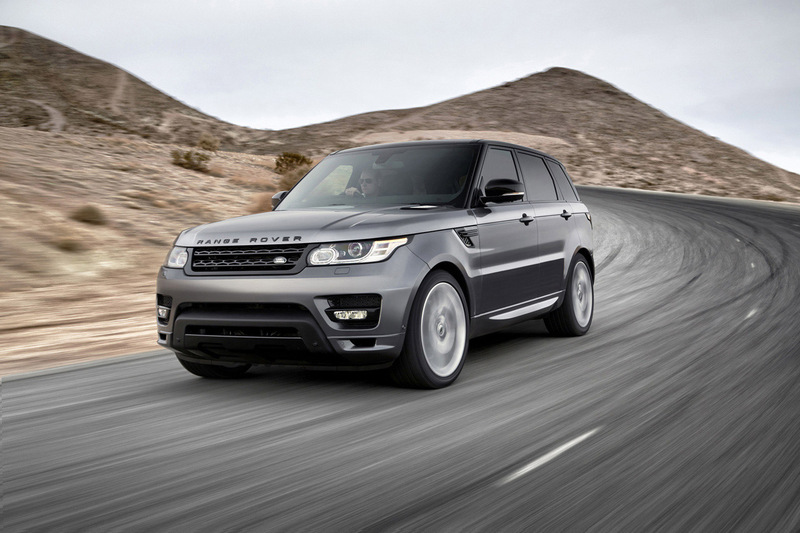 Range Rover designers specify all aspects of the stitching, from the length and direction of the stitches, to the spin, thickness, and material of the thread, and even the size and shape of the needle. 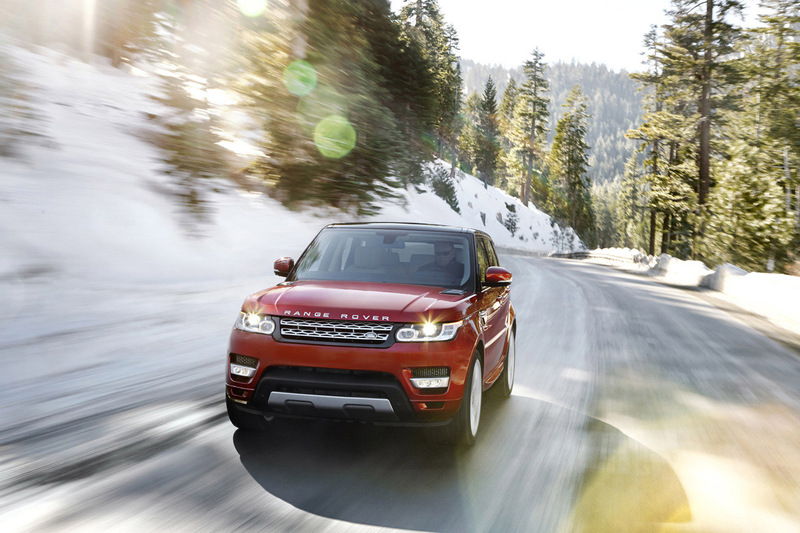 For maximum personalization, the new Range Rover Sport offers individualized choices for customers. An expanded choice of special features includes color-themed interiors with multi-toned designs and a range of alloy wheels from 19- to 22-inches. Selecting a 'Dynamic' pack on Supercharged and Autobiography models adds exclusive trim options and performance features, among them a gloss black grille and exterior details, body-colored lower bumpers and side sills, unique interior color themes and finishes, plus an increased top speed of 155 mph (250km/h) 2 for the supercharged 5-liter, special 21- or 22-inch alloy wheels, and red Brembo brake calipers. The Range Rover Sport marks a significant step forward for the model, adopting advanced vehicle technologies and new powertrains from the highly acclaimed new Range Rover, to transform the driving experience for customers seeking the ultimate premium sports SUV. Unprecedented investment in premium construction technologies has reinforced the Range Rover Sport model's position in the SUV segment and allows it to deliver significantly improved on-road handling with enhanced capability in challenging off-road conditions. The new Range Rover Sport has been engineered to deliver dramatically improved on-road driving dynamics, with connected and agile handling complemented by enhanced ride and refinement. 39 percent lighter than the previous model's semi-unibody plus chassis frame design, leading to significantly improved agility and performance. This new stiff and light structure is supported by all-new front and rear suspension systems, which are designed to deliver a much broader range of dynamic capabilities across all terrains. An all-new steering system, four-corner air suspension, and the latest chassis and stability technologies – including upgraded Dynamic Response and Adaptive Dynamics systems – also contribute to the new vehicle's enhanced capability. Its on-road dynamics are characterized by direct steering, with increased handling agility and reduced body roll delivering flatter, more confident cornering. Ride comfort and refinement have also been improved, delivering enhanced bump absorption and an effortless, supple feel. Underpinning the enhanced driving capability of the new Range Rover Sport is a new fully independent aluminum suspension that is double isolated, with wide-spaced double-wishbones at the front and a multi-link layout at the rear. The system delivers impressive wheel travel – with 10.2-inches (260mm) of front travel, 10.7-inches (272mm) at the rear. With 21.5-inches (546mm) of articulation, the suspension to delivers the composure to deal with the toughest conditions. The high strength aluminum chassis architecture is combined with a next-generation four-corner air suspension to maximize the vehicle's versatility both on- and off-road. This next-generation air suspension now offers variable ride height with two off-road lift settings: 1.4-inches lift for standard use and a 2.6-inches lift for more severe off-road use (This compares to a single 2.2-inches lift position on the previous model). 4.5-inches (115mm) of regular movement, from the lowest setting 'access height' (now 0.4-inches / 10mm lower at 1.9-inches / 50mm lowering for easier entry and exit) to the standard off-road height. An automatic extension is triggered when on-board sensors determine additional 1.4" of lift is needed, and an additional manually selected extension of 1.4" can give a total adjustable height range of about 7-inches (185mm). A key element of the vehicle's agile and engaging character is a new Electric Power Assisted Steering (EPAS) system featuring variable-ratio speed-sensitive assistance. The system has been tuned for a responsive and confident character. Geared for 3.0 turns lock-to-lock, the system provides a faster overall steering ratio, but is slower just around the on-center position for enhanced stability and control at speed. Advanced chassis and vehicle technologies enhance suspension performance. Supercharged V8 models are equipped with a dedicated Dynamic mode in the Terrain Response® 2 system3, providing a more sporting bias during enthusiastic on-road driving, with a firmer ride, tighter body control, reduced roll and responsive steering and performance. Dynamic mode activates performance calibrations for a wide range of vehicle and chassis systems including the electric power steering, throttle and transmission responses, damping and lean control, and settings for the traction and stability systems. For the ultimate sporting driving experience, Dynamic mode3 is specified in combination with a number of key technologies, including Dynamic Response active lean control, a Dynamic Active Rear Locking Differential, and Torque Vectoring by Braking. Significantly reducing the amount of body lean during cornering, Dynamic Response transforms vehicle handling and occupant comfort. This new two-channel active lean control system is capable of controlling the front and rear suspension independently. This allows it to be tuned to deliver increased low-speed agility, along with enhanced control and stability at high speed. The Dynamic Active Rear Locking Differential employs an electronically controlled differential that can vary the degree of lock-up almost instantaneously to further maximize traction, handling and cornering stability. The rear differential can react 70ms faster than one in the outgoing model. Torque Vectoring by Braking uses the vehicle's brake system to generate the effect of a torque vectoring differential. This feature constantly balances the distribution of engine torque among the four wheels during cornering, resulting in improved grip and steering, and a reduced level of understeer. The system uses the Dynamic Stability Control (DSC) module and monitors the vehicle 100 times per second. 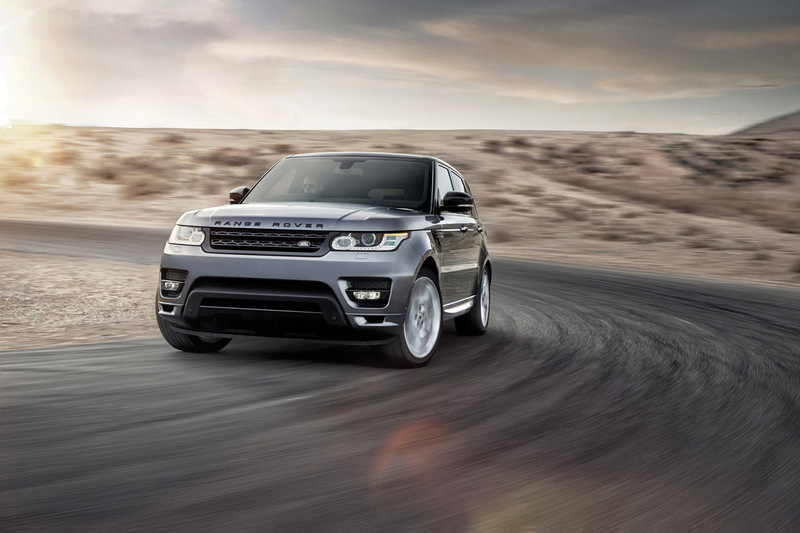 As the Range Rover Sport accelerates through a corner, the system uses yaw sensors to detect the onset of understeer. To reduce understeer, imperceptible levels of braking are used to correct the vehicle attitude, while engine torque is transferred to the outside wheels, which have more grip, thus maintaining traction and steering control. Supercharged V8 models are also equipped with Adaptive Dynamics, featuring continuously variable dampers, providing the optimum balance of ride and control by offering infinitely variable damper settings between soft and firm extremes. The Adaptive Dynamics system monitors vehicle movements at least 500 times a second, reacting to driver or road inputs virtually instantaneously to give greater control and minimize body roll, providing a composed, flat ride. The Sports Command Driving Position combines the supreme sense of confidence and control offered by the Range Rover, but with a sporting, less upright seating position similar to that in the Evoque. This driving position offers an elevated and reassuring view of the vehicle's surroundings, and the new model retains excellent visibility over the hood. Meticulous attention to vehicle packaging and the pillar design have improved all-round visibility. All Range Rover models are developed with headroom targets that take into account head movements that occur in off-road driving. The main instrument cluster consists of clear analog gauges with a 5-inch TFT display, while on certain high specification models; a new 12.3-inch high-resolution TFT virtual gauge display is available. This is accompanied by an 8-inch high-resolution touchscreen display on the center console for infotainment and secondary functions1. The screen designs on both displays create the impression of 3D surfaces, beautifully lit with subtle chrome detailing. Each display is able to adapt its content according to the driving situation. For example, in Dynamic mode, the two primary dials in the 12.3-inch display adopt a sporting red color scheme, with the current gear position presented prominently between the two dials. The control layout has been significantly simplified, with 50 percent fewer switches than before. The intuitive approach is reflected in the other major controls, such as the vertical gear shifter, the rotary Terrain Response® 2 control, the simplified climate control dials and the twin five-way toggle switches and auxiliary functions on the steering wheel. 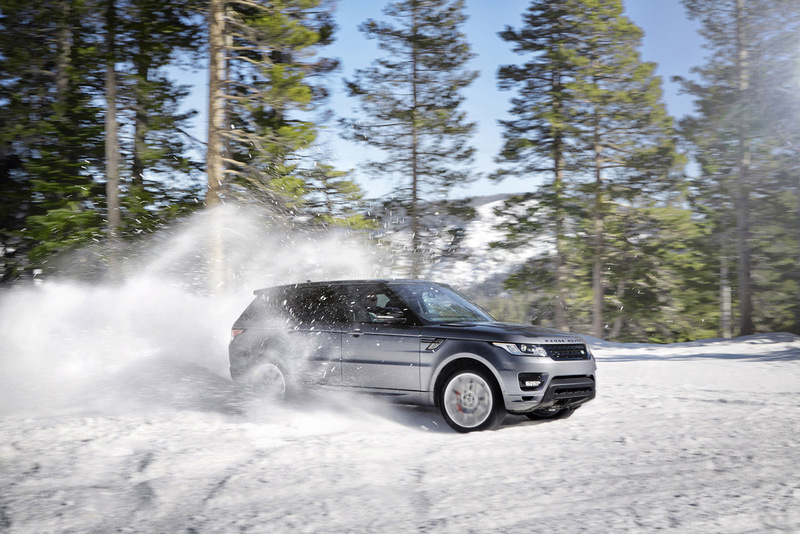 Building on Land Rover's history for tackling the toughest climates and road surfaces, the 2014 Range Rover Sport has been developed to achieve all-terrain capability, with supreme composure in all conditions. The Range Rover Sport vehicle enhances its status through the introduction of the next-generation version of Land Rover's Terrain Response® system3, which takes the capabilities of the acclaimed technology to a new level of ease of use and effectiveness. 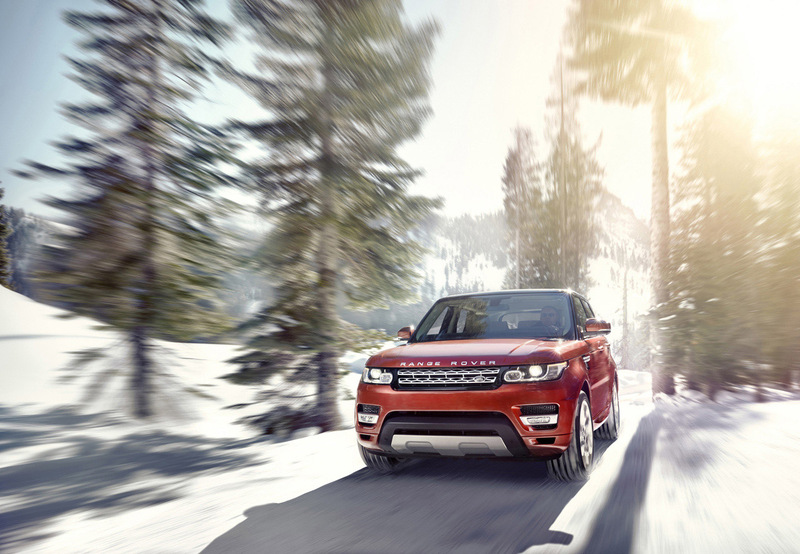 Developed by a small team of Land Rover specialists, Terrain Response® 2 features an Auto setting that uses sophisticated systems to analyze the current driving conditions, and automatically select the most suitable terrain program. Ensuring that the vehicle is always driving using the optimum mode, the new system is able to switch completely automatically between the five settings: General, Grass/Gravel/Snow, Mud/Ruts, Sand and Rock Crawl. Like previous Terrain Response® systems, each setting optimizes drivability and traction by adapting the responses of the engine, transmission, differentials, and chassis systems to match the demands of the terrain. While it functions automatically, Terrain Response® 2 will also provide the driver with additional advice, such as when to select low range or raise the vehicle to off-road ride height, when the system calculates that it is necessary. Stuart Frith, Range Rover Sport Chief Program Engineer, explained: "Land Rover's Terrain Response® 2 enables even non-expert drivers to benefit from the system's full capabilities, confident that the vehicle is automatically configured in the best possible way for each moment of their trip." Land Rover Terrain Response® is complemented by standard innovative driving aids3 including Hill Descent Control (HDC), Gradient Release Control (GRC), Hill Start Assist (HSA), Dynamic Stability Control (DSC), Electronic Traction Control (ETC), and Roll Stability Control (RSC). Performance of braking and stability systems is enhanced by the latest Bosch 6-piston brake modulator, which delivers faster, precise responses and smoother, quieter operation. 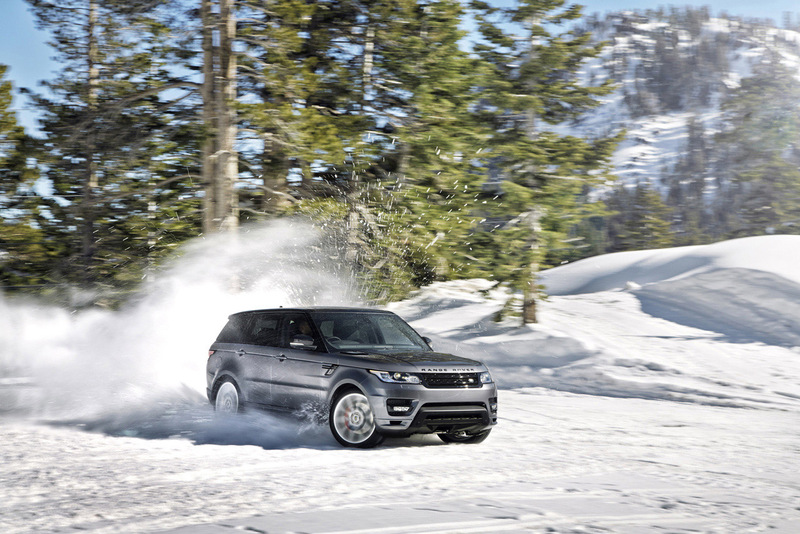 The new Range Rover Sport offers a choice of two full-time intelligent 4WD systems, each able to deliver outstanding traction on even the most challenging low-grip surfaces. A two-speed transfer case system is available, with a low-range for the most demanding off-road conditions, and features a 50:50 percent default front to rear torque split. Optimum traction is maintained through an electronically controlled multi-plate clutch in the center differential, which can distribute torque between the wheels at any ratio between 100 percent front and 100 percent rear. This is combined with responsive and sophisticated electronic traction control systems. The transfer case offers selectable high and low range with shift-on-the-fly capability at speeds up to 37 mph (60km/h). The 2.93:1 low range ratio yields an extremely low crawl speed. The standard system, which is 40lbs. lighter, features an all-new single-speed transfer case with a Torsen® differential. Its 42:58 percent default front to rear torque split is designed to provide a rear-wheel drive bias for optimum driving dynamics, while maintaining off-road performance capability. The Torsen center differential constantly varies torque distribution between 62 percent front and 78 percent rear depending on conditions and grip available. The traction control system has been tuned to work in conjunction with the differential to deliver excellent traction in all conditions. To maximize traction and stability in extreme conditions, a Dynamic Active Rear Locking Differential is available in combination with the dual-range (high/low) 4WD transfer case. The locking rear differential has been engineered to work in conjunction with the electronic torque vectoring system.